When the all-new Chrysler Pacifica was introduced earlier this year, there was a big presentation at the North American International Auto Show, press releases and lots of discussion about the new features and minivan firsts offered in the new vehicle. From the roof down to the wheels and throughout the interior of the vehicle, new features abound in the Pacifica, helping to make the minivan more safe and secure, user-friendly and more technologically advanced than before. 1Always look before proceeding. An electronic drive aid is not a substitute for conscientious driving. Always be aware of your surroundings. 2Always check entire surroundings visually before proceeding. 3This system is an alert system for the front of the vehicle. It is not a substitute for active driver involvement. The driver must remain aware of traffic conditions and be prepared to use brakes to avoid collisions. 4This system is a driver’s convenience system, not a substitute for active driver involvement. The driver must remain aware of traffic conditions and maintain control of the vehicle. 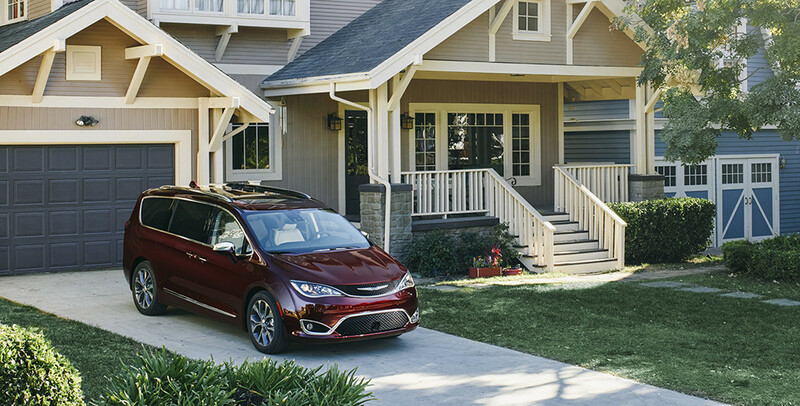 You can learn more about the All-New 2017 Chrysler Pacifica by visiting the Chrysler Pacifica website.